On July 30th 2007, Ian Young received the call that turned his world upside down. His dog Lucy had escaped his home and allegedly got into a fight with another dog. The other dog, being a small Chihuahua, lost the battle. Despite a long history of aggravation and provocation from the Chihuahua not only to Lucy, but to Mr. Young, his son and partner of seven years, Desiree Hedberg, the city of Sunnyvale and the courts of Santa Clara decided that simply ordering Lucy out of the city or declaring her a potentially dangerous dog was not enough. Lucy has been ordered killed after three appeals. Lucy has been part of the Young family for six years, and has worked closely with many dogs from foster associations around the bay area, helping shelter dogs to be socialized. She is a doting mother-dog to their 2-year old son Liam and an integral part of the family. Under California Law, Lucy would be considered a potentially dangerous dog - she would be free to live, but with restrictions such as having to carry supplemental insurance, and muzzling in public. There are many other options for Lucy other than death. In fact, under the Sunnyvale Municipal Code, Lucy could have been ordered back home with restrictions, or ordered out of the city. Traditionally, this has what has always been done on a “first offense,” especially given the fact that she was provoked and poses no threat to humans or other animals. Despite this being her first offense, the city of Sunnyvale is adamant that she is so dangerous, that she must die. Even the City's own animal behaviorist had said in her own report, that Lucy is a very friendly, well-socialized dog. The Young's behaviorist gave Lucy a 0 out of 10 for human aggression and even represented them for free in court; such was the strength of her convictions. During one of the motions in Superior Court, even the Judge stated, "I would love to keep Lucy alive by ordering her out of the city." Despite his discretion to do so, he ultimately caved to the pressure of the city. Lucy has made such an impact on the lives of those around her, that she has friends on the Sunnyvale Chamber of Commerce asking for leniency, over 25 sworn declarations attesting to her good nature, the two lawyers that Young hired are now representing them pro-bono, such is the strength of feeling that Lucy has evoked in all who know her. An online petition raised over 12,000 signatures in support - in just 2 days! The complaint comes just over a year after the unjust and tragic killing of Lucy. Lucy was a family pet, who lived peaceably with her human family, including an infant, another dog, and two cats for more than five years without any incident. Lucy was seized and impounded after an incident with a neighborhood Chihuahua. The prosecution portrayed this well socialized, friendly dog as a killer when, ironically, it was the Chihuahua who was human and dog aggressive; in fact, this Chihuahua had tried to bite the infant son of the family, but because the dog was smaller and not a targeted breed, she was exonerated of any blame. This being Lucy’s first and only offense, her death sentence was shocking and devastating for her family. 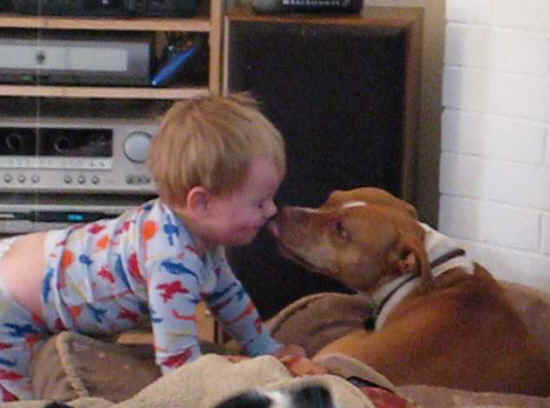 “Pit Bulls” are the current targeted breed. During the Michael Vick case, “Pit Bulls” were demonized by much of the public, rather than seen as the victims of human cruelty. Breed Specific Legislation and discrimination must be examined to prevent future tragedies like Lucy. 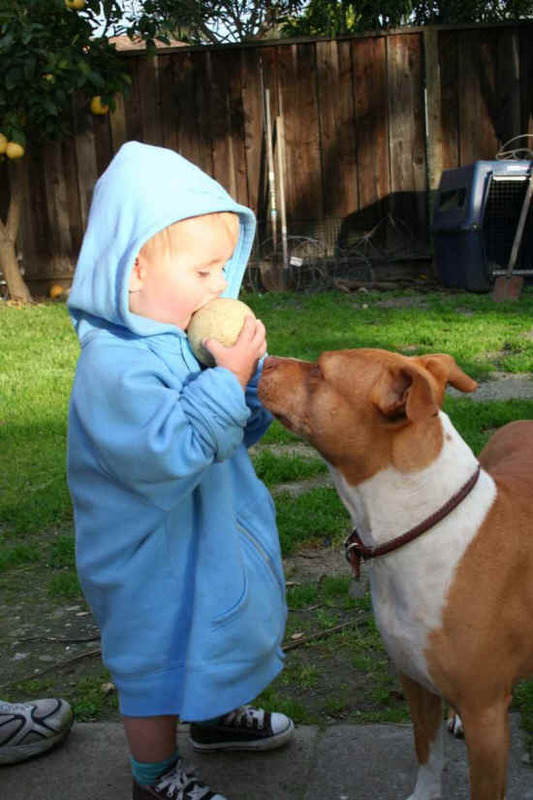 Some counties, countries, and even states have a ban on dogs with pit bull characteristics; this form of discrimination is unacceptable and illegal in many other states and cities. For example, the Dutch government just lifted a 25-year ban on “Pit Bulls” after it was shown to make no difference in bite incidents. The complaint alleges that the city animal control officials lied to the family when they seized Lucy. The representatives at the pound went so far as to ban the family from being with her when she passed. A young boy spent Christmas missing one of his first and best friends. Lucy died alone, killed by strangers, in a strange place, without her family, who were barred from being with her one last time.